Over the course of the past year and a half or so, we’ve really become fully aware of the greatness of Lucifer as a series after seeing it sporadically before then. It’s one of the most delightfully-imaginative and twisted series out there and it really harkens back to one of our favorite eras of television: A case-of-the-week mystery show with a lot of humor and some truly bizarre situations that the characters find themselves in. Add to it a touch of Biblical mythology and you’ve got a show that is different from almost any other that is on there. The show itself is a complete thrill to the senses to watch, and the more you watch, the more it is abundantly clear just how difficult the role of Lucifer Morningstar probably is to play. It’s very much about getting the tone right — this is a guy who is capable of so much evil (he has a devil face for a reason), but he has to be portrayed in such a manner that you want to root for him. He needs to be charming yet often cocky, shrewd and yet at times oblivious to human nature, and above all else dynamic and magnetic. He needs to be able to command the room and when things fall apart, they fall apart dramatically. Watching Lucifer melt down is almost a gleeful experience, though we feel almost bad saying it since the character probably doesn’t feel the same way. A great example of this is during “The Angel of San Bernardino” where he refuses to sleep, takes part in a wide array of crazy activities, develops many a grand conspiracy, and also becomes addicted to Bones in the process. The reason all of this works is because of Tom Ellis, which makes him the perfect subject today in the month-long CarterMatt Emmy Hopefuls series. You can tell that Ellis loves the character, especially in how it allows him to do so many different things. Just in this past season alone Lucifer got to sing (as he does), act like Chloe while out on a case, partner up with Marcus Pierce undercover as a couple, and eventually give some raw, emotional confessions of love. Vulnerable Lucifer is one of the best Lucifers, mostly because it comes around so rarely and Ellis brings it in these moments. He has no problem taking on the character’s dark edges one moment and the lighter ones the next. He also ensures that every relationship the character has is separate, whether it be with Chloe, Maze, Linda, or Amenadiel. Each one is a different extension of the same person and they all feel unique. Lucifer is a fully developed, hilarious, and heart-wrenching character who draws reactions out of you. So … why isn’t Ellis getting any Emmy consideration? – Often, it just has to do with what the Emmys themselves are looking for. They often avoid network shows, for starters, and beyond that they don’t tend to be particularly fond of those with a supernatural component. Add to all of this the fact that this is a show called Lucifer and some more conservative voters may just run away in the opposite direction. While many of the shows and actors routinely nominated by the Emmys are often extraordinary, they are also somewhat expected, as though there is a hard-and-fast rule as to what can perceived as high art. To us, a great performance is defined as one that you remember and one that you want to watch week in and week out. It doesn’t matter if the series is deathly serious or if it’s on HBO, CBS, Netflix, or any other network or streaming service. With Lucifer, Ellis brings everything you could want to the role and then some. There have been times writing reviews this year where we’ve marveled at how he doesn’t get another credit for how good he truly is. There’s no one else we can imagine or want to imagine playing Lucifer Morningstar. The fact that there are so many people fighting to save this show from cancellation should be one of the biggest indicators of his greatness — how often do you see a campaign of this magnitude? Ellis may not be the only reason to save Lucifer, but it’s certainly near the top of the list. Do we think it will probably happen? – Probably not, mostly because Ellis’ name is not one we’re seeing mentioned among many Emmy voters or on many ballots. That doesn’t change that he should be mentioned and that hopefully, pieces like this will start to get some voters thinking a little bit differently and outside the box. Actors playing fictional devils with surprising amounts of heart need a little bit of love, too! It’s been nice to see so many supporting Ellis with the Teen Choice Awards voting, and we like to think of this as a nice start. 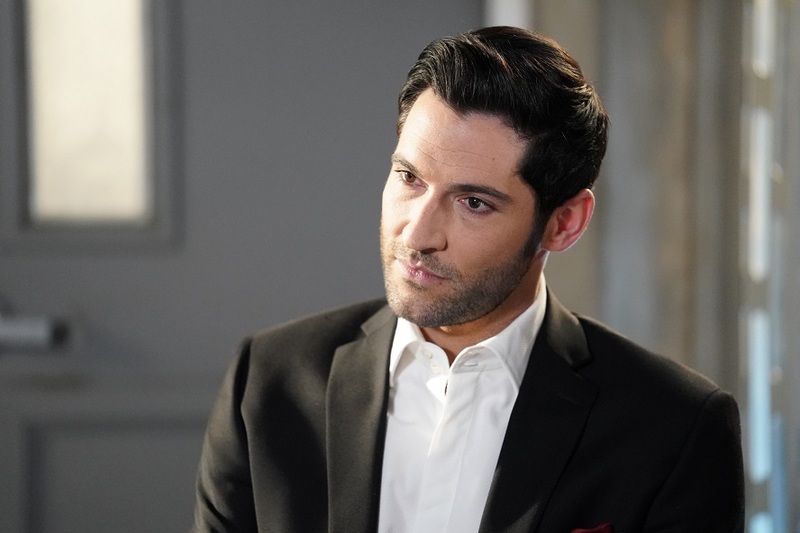 Do you think that Tom Ellis should be an Emmy contender for the part of Lucifer? Share below!